Airways office is an international Travel Blog and Information resources of all airlines. From the beginning of 2013, we are a reputed member of the International Air Transport Association (IATA). which consists of 278 airlines all over the world and 118 nations. Since 2013 our team working with “Travel Technology” and “Travel Inventory”. We not only grown tourism activities but also we have taken the challenge to develop the aviation industry. We are officially connected with the International Air Transport Association, which run intensive lobbying campaigns to support many details of airline operations. Major policy initiatives includes passenger rights, emissions trading, security, aviation charges, airport slots, the benefits of aviation. We maintain the standards and quality of service in the aviation trade. Today’s Airways Office is a huge source of Travel Information. The users get all kind of airlines and traveling information from the website. We Believe aviation the business of freedom. Our mission is to represent, lead and serve the travel and aviation industry. Airways office officially connected with aviation industry. We are sales agent of almost all Airline. People choose us for Air ticket booking, issue, reissue, refund, and other travel information. We always ready to provide service via mail, phone call, website, and social media. We ensure a passenger global standard service and quality with the best price. As an International travel blog company our clients can book Hotels and Holiday Packages from our website. It’s an open information resource of the aviation and tourism industry. Airways Office “Travel Blog” helps to find cheap flights and compares airfare deals from hundreds of airlines and travel agencies. Airways Office is really impressive blog and love their activities.They are officially connected with all airlines and member of IATA.In a word i am a hard follower of them. Great gratitude and I thanked you and your office for the help that you provided me a best deal.For your dedicated service you are one of best travel agent, Appreciate it. Happy to say I have finally found a travel Blog! They are very friendly and professional.I Would highly recommend them as a professional Online Travel Agent. The world famous hotel booking website is Agoda and top hotel booking search engine helps to find out best hotel deal in cheapest rate. You can find out cheapest price through our search engine. 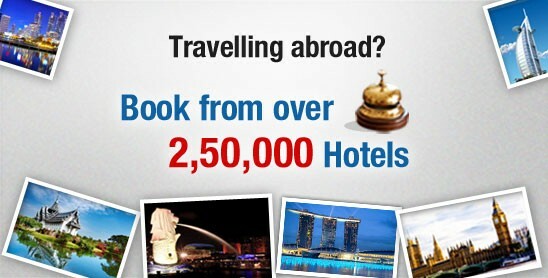 Its helps a traveller to get best deal, because you can compare price with all hotels website at a time. Another hand If you use our Agoda Apps we will rebate 2% of your total booking amount.To get your rebate you must use our APPS and after booking you have to email us .All payments generate in a week after guest departure, so yo receive the payments after guest checkout.